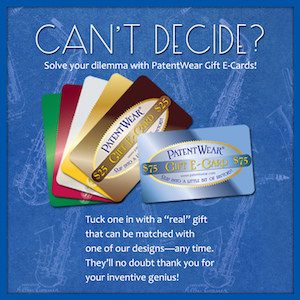 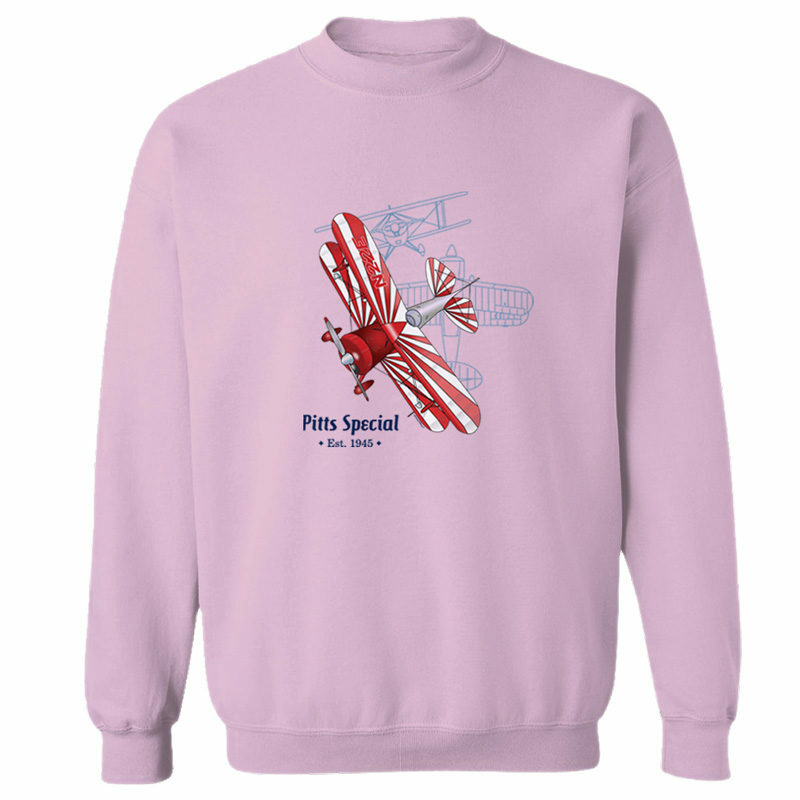 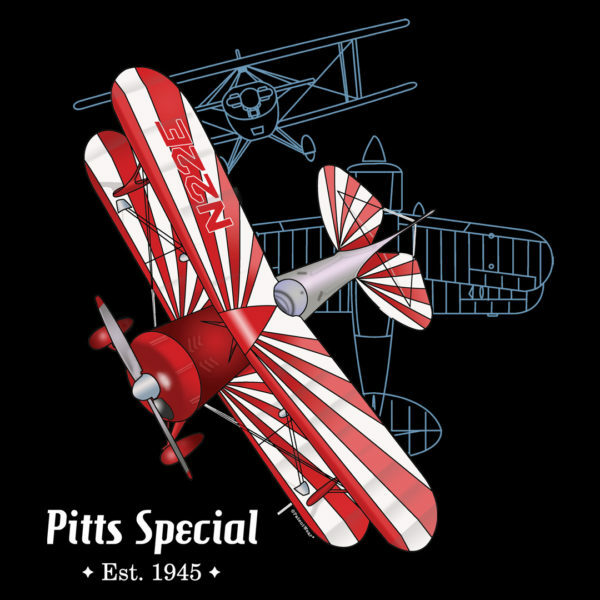 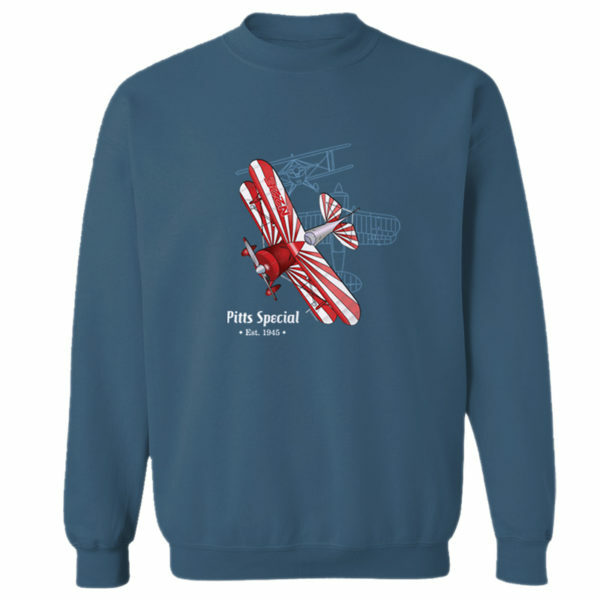 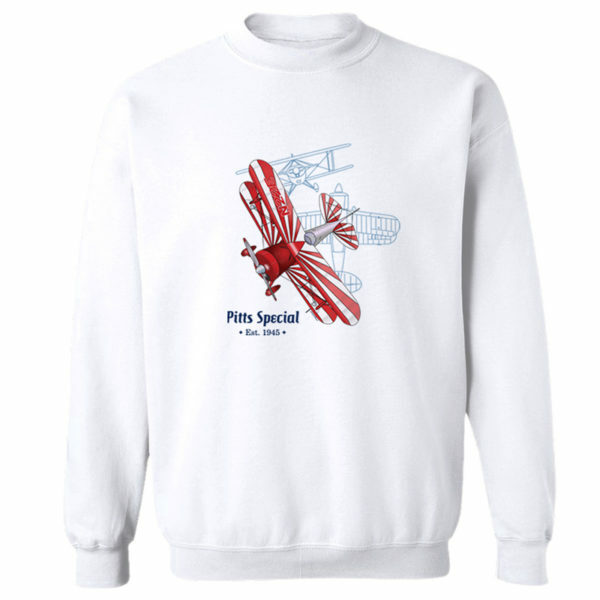 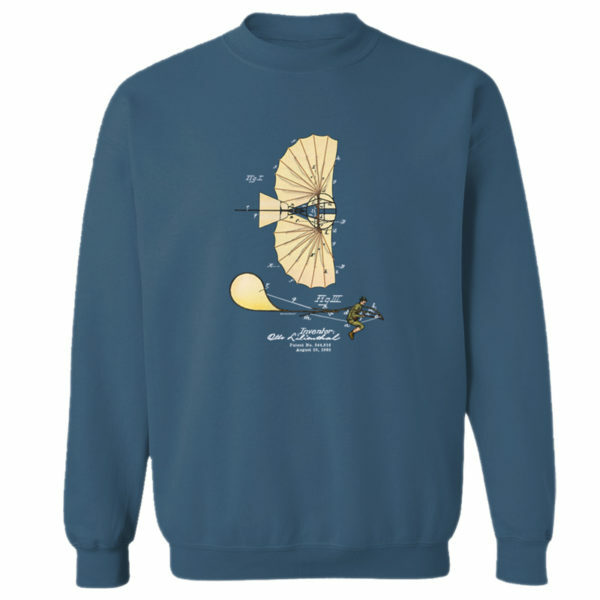 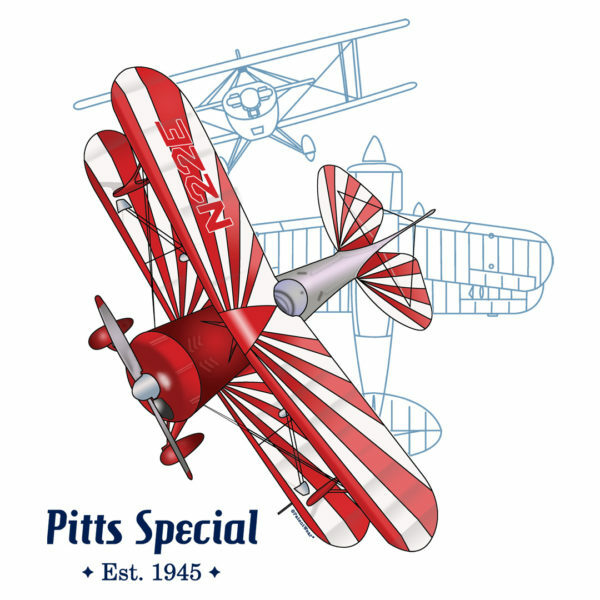 PatentWear’s Pitts Special design printed on 8 oz. 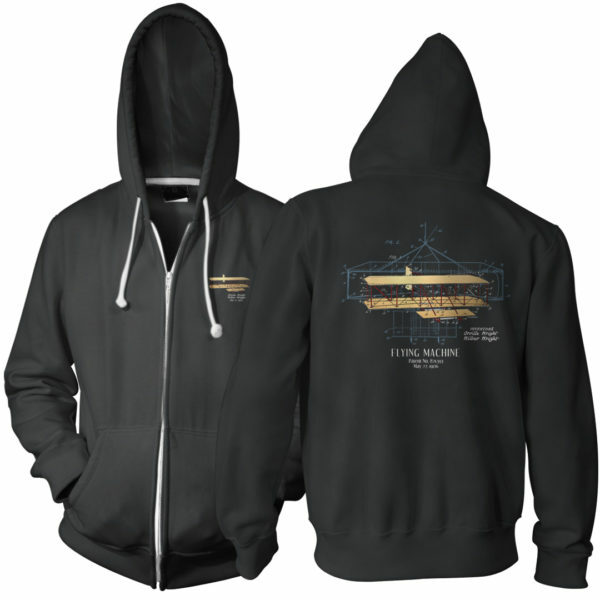 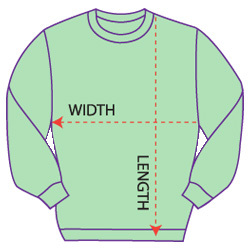 crewneck sweatshirts. 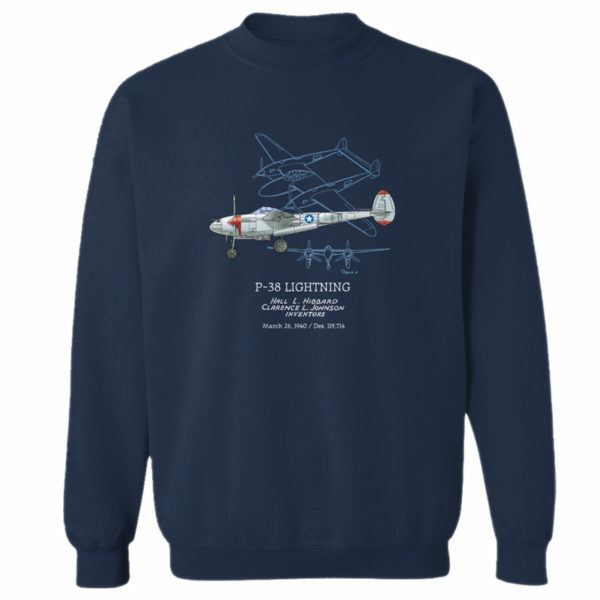 Made of a 50/50 blend of cotton and polyester air-jet spun yarn with a softer feel that also reduces pilling, this classic-fit sweatshirt features double-needle stitched collar, shoulders, armholes, cuffs and waistband, and 1×1 athletic rib knit with spandex for collar, cuffs, and waistband.